Supplied with feed box built-in, through which electrical connections to the power supply can be made. Has concentric knockouts for 1" and 1-1/4" conduit. Terminals accommodate No. 14 to No. 6 standard wire. 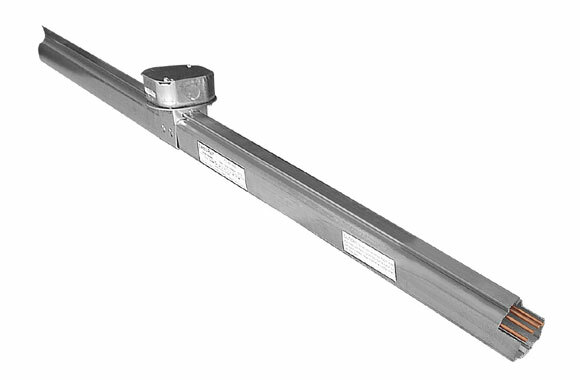 Item: Straight track with built-in center feed. Power: 50 Amp, 300 Volt AC/DC Busway. Pole: 4 Pole. Length: 10'. Note: Track shipped with Polarization Strips and Slot Enclosures..